Do businesses and corporations have a vested interest in US food banks? Food & Health	The American hunger-industrial complex: Do big businesses have a vested interest in food banks? A few Christmases ago, my eight-year-old son Orion came home one afternoon quite excited: “There’s a food drive in my school. The class that brings in the heaviest food and raises the most money will win a pizza party.” He promptly started scouring our kitchen cabinets for the heaviest food he could find. A week or so later, as I was heading out to the grocery store, he urgently implored me to pick up some more heavy food, as his class bin remained only half full. Orion really wanted that pizza party. As I was at the grocery store, considering the dollar-per-pound ratio, I realised that his food drive reminded me of the fundamental weakness of the charitable food system. Food banks typically measure their effectiveness by the weight of the food they distribute and the number of people they serve. The heavier the food, the better. The more people they serve, the more they appear to be successful. Yet, pounds distributed and people served do not measure impact, but only activity. Food is the solution to hunger only in the most illusory of ways. Just giving away food does not resolve the underlying problems that lead people to be food insecure in the first place. If all food banks do is treat today’s hunger, but not its underlying causes, charity perpetuates itself. A free box of food every month keeps people at hunger’s edge, doing little to help them avoid coming back the next month. Despite their ineffectiveness in truly solving the hunger problem, food charity has been growing by leaps and bounds since the early 1980s, when food banks took hold as a community-based answer to food stamp cutbacks in the midst of a deep recession. At last count, in the US, some 200 food banks, 60,000 food pantries and soup kitchens served 4 billion meals to 46 million people in 2016. Food banks have become a semi-permanent feature of the non-profit landscape in virtually every American community. In the US, food banks have become inextricably linked to Corporate America and specifically to “Big Food”. Post-retail and post-manufacturing food waste has made up the vast majority of the food that food banks distribute (although with waste reduction strategies, food banks are moving toward purchasing food on the secondary market). Corporate dollars have been a key source of funding for food bank operations and equipment. And it is not just the food industry that supports food banks, but companies in virtually every sector of the economy. In 2015, the main 11 national anti-hunger groups reported receiving food and cash from over 150 corporations. By far, Walmart [owner of UK supermarket Asda] has been the largest funder to the anti-hunger sector, donating $2.6 billion in food and cash from 2010-2015. 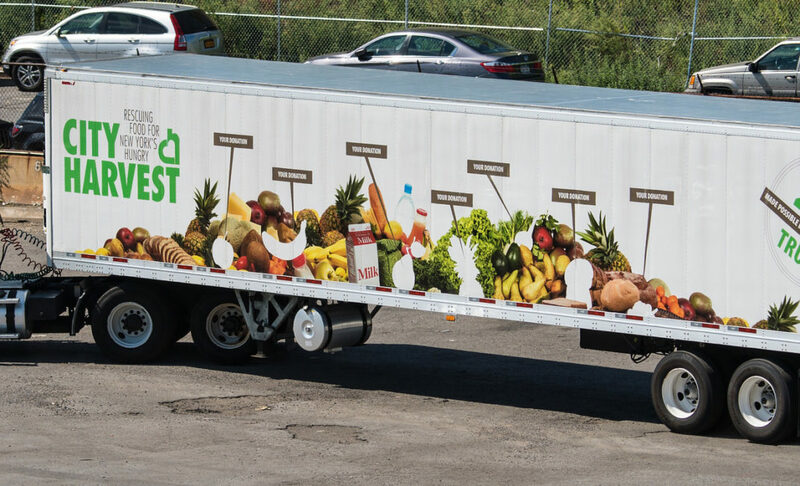 In many communities, food bank trucks plastered with Walmart logos roam the streets transporting excess food. Yet, Corporate America does more than just provide food and money to food banks. They are an important source of volunteers, especially board members. Some 22% of food bank board members work for Fortune 1000 companies (or their privately owned equivalent), while only 0.07% represent labour unions. Their presence can be problematic. 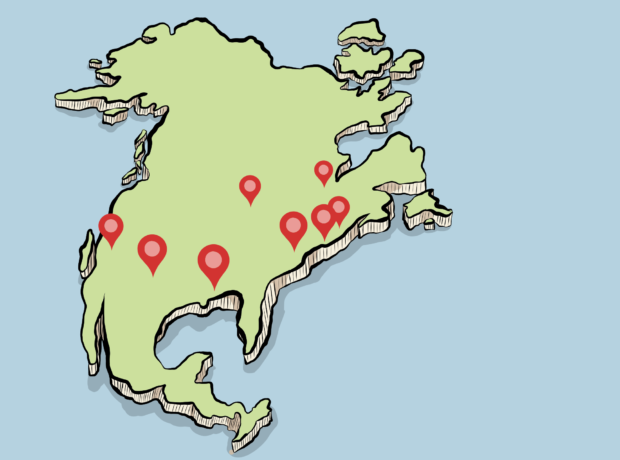 As a result of these relationships, many of the largest food banks in the country have become, in the words of one former East Coast food bank CEO, “mainstream, respectable and rich.” Salaries of over $200,000 are common for these executive directors, with the upper tier earning over $300,000 per year. Food banks in America have few incentives to actually end hunger, when their bonuses are tied to the amount of food they distribute, not to reductions in the food security rate in their communities. So as not to offend their bi-partisan donor base, the vast majority of food banks only dip their toes into political waters, advocating for federal commodities and tax deductions that benefit their bottom line. At a national conference of social justice-oriented anti-hunger groups held recently in the Seattle area, food banker after food banker mentioned how the lack of understanding and support of their board members was the key barrier for them to engage in progressive policy advocacy and other justice oriented work. One Washington state food bank employee expressed the disconnect between her organisation’s white board and its primarily immigrant clientele as the primary factor in reinforcing her food bank’s contribution to structural racism. Most food banks do not prioritise accountability to their clients when looking for new board members. For example, low-income individuals don’t meet the needs of food banks that use their boards as fundraising entities, whose responsibilities are bluntly phrased as “give, get, or get off.” As sophisticated organisations with multi-million dollar budgets and significant infrastructure, food banks seek professional board members with the requisite experience to provide effective governance. Given their close relationships with the food industry, it should come as no surprise that they look to colleagues from these firms to serve on their boards. 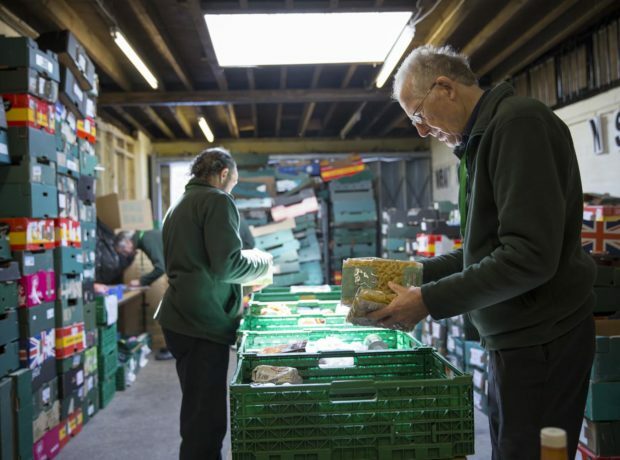 Likewise, as food banks have much in common with the grocery business, board members employed in this sector can help food banks leverage needed technical support and resources to professionalise their operations. Food bank leaders differ on the actual influence that corporate employees have on their boards. Joyce Rothermel, the former CEO of the Greater Pittsburgh Community Food Bank notes that she wanted the food bank to support a living wage ordinance, but she refrained from bringing it to her board because she knew they would shoot it down. It’s difficult to determine the impact of businesspeople on these organisations’ public policy advocacy choices. But food banks’ undeniably corporate-heavy boards do indicate the extent to which these organisations have become social service agencies rather than agents of social change. Regardless of their exact impact on advocacy stances, the composition of food bank boards brings up the broader issue of accountability. Most food banks are not membership organisations, and as such do not have a formal accountability mechanism beyond the legal requirements demanded of non-profit organisations. While the strong representation of the business community and upper middle class professionals on food bank boards enhances the financial viability of these organisations, it does create an accountability vacuum for them. Without a significant representation of food pantry staff and their clients on food bank boards, food bank decision making will be driven by the economic interests of organisational self-perpetuation rather than the political exigencies of hunger elimination. Hunger relief has become quite a marketable cause because of hunger’s universal immorality. Supporting these efforts is a safe way for corporations to enhance their reputation as a caring company without threatening their profits. The truth however is that they receive quite a haul for their spare change. Cash donations earn them a tax deduction. They get an estimated $200 million per year in tax deductions for the food they donate (at halfway between the retail and wholesale value). They save on garbage disposal costs. In 2015, food manufacturers sold $630 million of processed foods to the US Department of Agriculture for distribution to food banks. Companies get an uncalculated amount of earned media for their good deeds, bolstering their reputations, which in turn has been shown to boost their stock valuation. And in the case of Walmart, the company has deployed its charitable deductions as a strategic tool to neutralise opposition to its entrance into major cities from which it has been shut out because of the company’s exploitative practices. This nexus has become a self-perpetuating hunger-industrial complex, akin to the military industrial complex that President Eisenhower warned about in 1961. There are few incentives to actually seek to end hunger, as it would be bad for business on all levels. Despite the unfortunate damage that food charity causes to the dignity of many of their clients, they possess incredible untapped potential as a force for progressive politics. 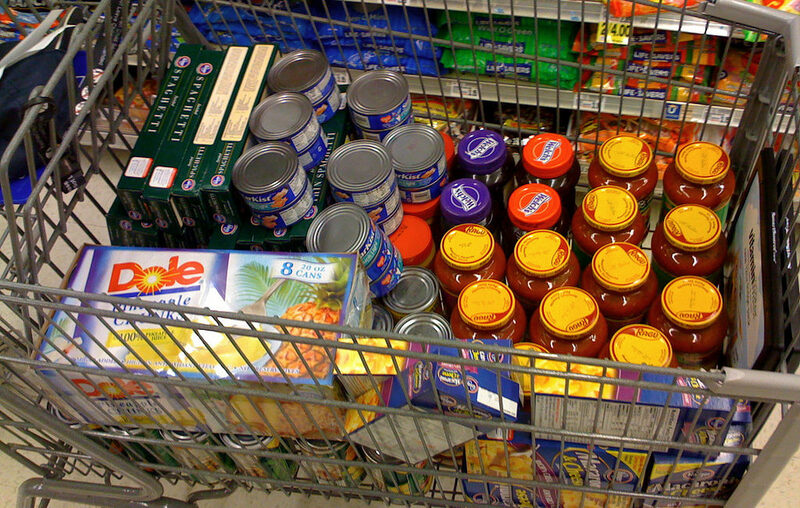 With claims that 80-100 million people are participating in food drives annually, and 46 million are receiving food while millions are volunteering, we can reason that one third to one half of the country’s 320 million people are involved with food charity at some point during the year (either as a donor, volunteer or recipient). Were food banks to educate and mobilise even a modest percentage of these individuals toward political action, their voices – linked to others on the left – could shift the public debate around such issues as minimum wage, affordable housing and universal healthcare. This untapped potential can be seen in one example from 2013, when the House of Representatives passed a bill that took food stamps out of the Farm Bill for the first time since 1973. The Chief Operating Officer of the association of food banks Feeding America stood up at a conference and proudly mentioned that they had organised 5,000 calls to Congress in support of SNAP. Impressive, until one considers that this translates into only one of every 10 food pantries mobilising one person to make a phone call. Had they been more focused on organising their constituents, they could have made 50,000 calls happen without much effort. They are hardly a political powerhouse like the National Rifle Association. 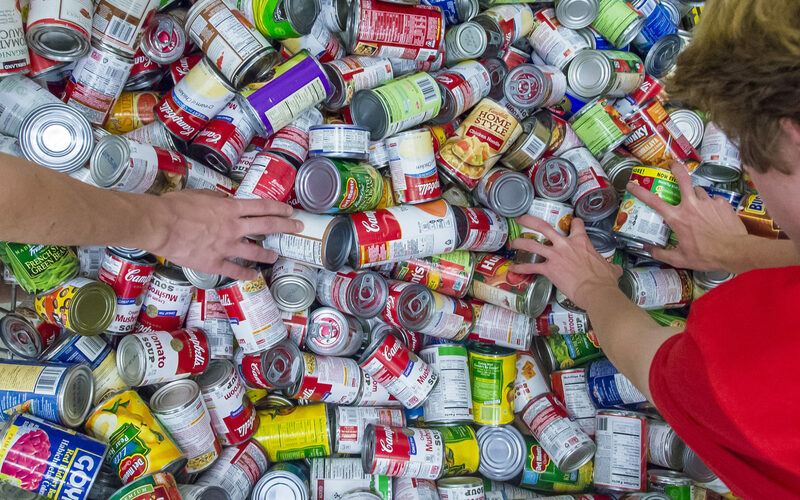 Still, a growing number of food banks – perhaps one third to one half – are changing their operations to move towards community-building, economic development, health promotion and human capital development approaches. While they are not shedding their connections to their corporate donors (one of the nation’s most progressive food bankers, Susannah Morgan of Oregon Food Bank sheepishly declared at a conference that it was her job to accept as much of Walmart’s excess food and money as possible) food banks are doing more than just nibbling around the edges. Some are redefining their effectiveness around client health promotion. Many are increasing their distribution of produce, while a growing number are rejecting junk food and soda from their distribution stream. Others are implementing job training programmes, community gardens, community organising campaigns, and catering businesses, or are engaged in providing their clients with wrap-around services to help them escape poverty. These changes need to be accelerated through institutionalising support and information sharing about successful practices. 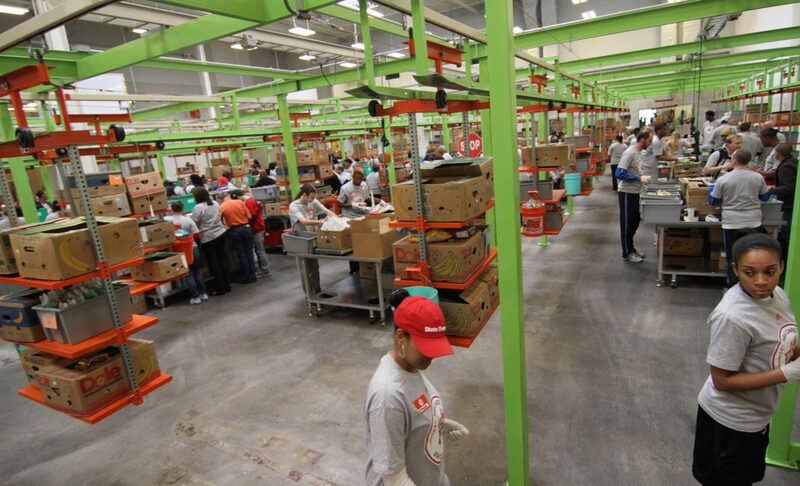 One example of this approach is Foodlink in Rochester NY. This food bank utilises its resources to support the local agricultural economy and to create jobs for food bank clients. Since 2014, they have purchased 3.8 million pounds of apples from local growers, employing residents to cut and bag them and sell them to schools. It’s a win-win-win, putting money into the pockets of farmers, training the unemployed, and helping kids eat healthily. The revenue from the apple sales is reinvested in their catering business for local schools and social service agencies. In addition, they operate community gardens for families who have recent immigrated. Despite food bankers’ growing awareness that you “can’t food bank your way out of hunger,” embracing economic justice-related policies remains their final frontier. Most are too fearful of alienating their donors and Board members to venture too far down the justice path. 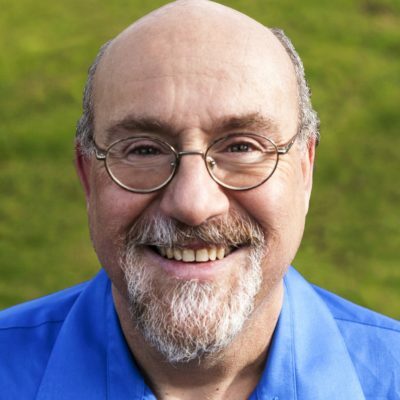 Even the VP of Ending Hunger at Feeding America, arguably the person charged with having the most ambitious vision for the food banking network, rejected the idea that food banks should be more politicised in a recent conversation with me. Food banks in conservative areas can do great work without straying into such ideological landmines, she contended. What remained unsaid however was that the current approach of food banking is itself highly political, reinforcing the status quo of neoliberal politics that undermines the more effective and larger response of the federal government to food insecurity. Images from the US Department of Agriculture. Beyond the Food Bank 1 and Beyond the Food Bank 2: Our series exploring the increasingly complex web of initiatives and organisations trying to tackle food poverty in the UK. Foodbank Futures: What is causing food bank use to rise in the UK? We hear from Trussell Trust managers and volunteers. The Foodbank Dilemma: We visit three UK foodbanks and consider the wider social and political issues surroundings the provision of emergency food.